If Salvador Dali made a movie, it would look like the movie…The Cell. Catherine Deane (Jennifer Lopez) is a special child psychotherapist. She has helped develop a technique by which she can literally enter the minds of her patients, by which she interacts with them and their world they have created and ultimately guide them through their psychosis. One of her favorite patients is a young autistic boy who has fallen into a comatose state. No matter what she tries in the boys “world” nothing seems to help and the boy’s parents are ready to pull the plug on the experimental therapy. Carl Stargher (Vincent D’Onofrio) is a dangerous killer who kidnaps young women and systematically tortures and drowns them in a special water tank. The FBI finally captures him, but he has fallen into a coma and the last girl he kidnapped is still missing. In order to find her before she drowns in her torture cell, Agent Peter Novak (Vince Vaughn) and Agent Gordon Ramsey (Jake Weber) request the help of Catherine to enter his mind to find out where he has the girl hidden. Stargher’s “world” is nothing like anything she’s ever experienced, with ease she is able to get inside but getting out is the difficult part. Written by Mark Protosevich (who wrote the screenplay for I am Legend and the soon to be released Thor) and directed by Tarsem Singh (who directed The Fall another visual triumph), The Cell elevates the psychotic serial killers mind into a dreamstastic visual world of nightmarish intrigue. What do you get for that special spoiled child that has every Barbie ever made? 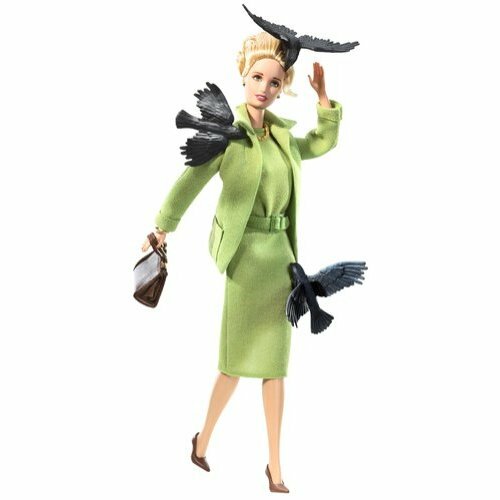 The Alfred Hitchcock ‘The Birds’ Barbie by Mattel, of course. Okay, maybe it’s not exactly for children to play with. It’s part of the Black Label collection which is described as “Sensational dolls designed for the adult collector” on the back of the box. We think it’s campy genius and should be proudly displayed. Available at Amazon for $39.99. Check out the World’s Most Expensive Barbie Doll and If It Exists, It Might Be a Barbie Doll. 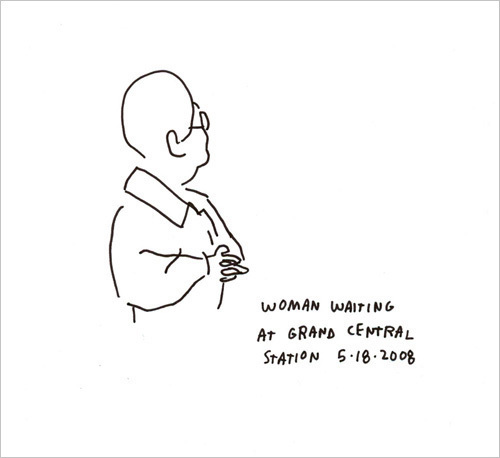 Approximately 8.4 million people live in New York City, and Manhattan resident Jason Polan plans to draw them all. Todd Klein, letterer extraordinaire, born in 1951, grew up in Central New Jersey, spent his time reading every piece of imaginative fiction that he could get his hands on, including comic books. His grandfather, Rex Derr, a part-time jewelry engraver and sign painter, encouraged him to draw and write, and introduced him to lettering. After spending two years in art school at the School of Visual Arts in New York City and the Kansas City Art Institute (1969-71), and running out of tuition money, he worked at several jobs, including putting together instruction manuals for air conditioners. In his spare time, he began submitting art, and occasionally writing, to science fiction, fantasy and comics fanzines, with some success. In 1977, after putting together a portfolio, he applied for work at several New York comic book publishers. 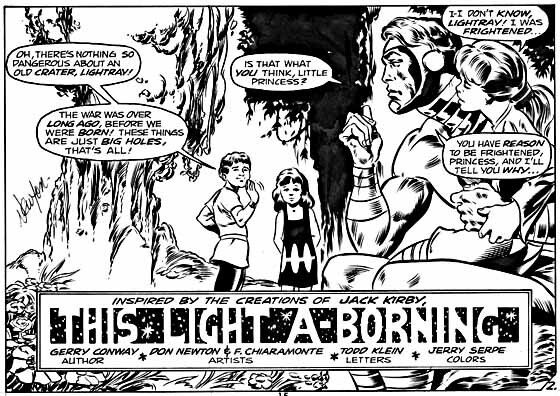 Klein Sample Lettering 1978, ©DC Comics, Inc.
Patrick was born in Britian. His father was a wealthy alderman and a Christian. When Patrick was 16 years old, pirates captured him during a raid and sold him as a slave in Ireland. He served as a shepherd of an Irish Chieftain in Ulster. During his captivity, he dedicated himself to religion. After 6 years of slavery he escaped and returned home to Britian. As a result of his experiences in Ireland, Patrick became driven by the idea of converting the Irish to Christianity. 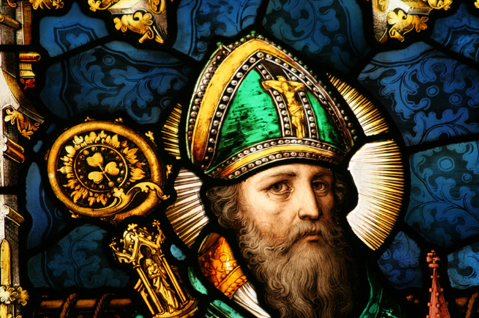 St. Patrick, the patron saint of Ireland, is one of Christianity’s most widely known figures. But for all his celebrity, his life remains somewhat of a mystery. St. Patrick’s Day is celebrated on March 17, which the Irish have observed as a religious holiday for over a thousand years. Here are some resources for all things St. Patrick’s Day. Not a normal post for Gilbert Musings, but as a Brooklynite, I was shocked to hear and see what took place recently in a neighborhood I used to frequent. 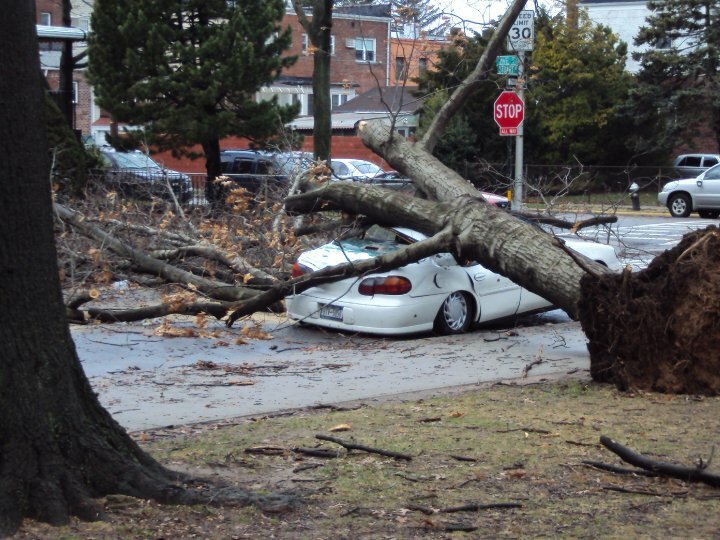 A freak wind storm with 70 plus MPH winds blew through Marine Park section of Brooklyn, New York on Saturday night, uprooting trees and caused some major damage leaving residents without power for about 10 hours. I have never seen anything like this in Brooklyn before. You expect this kind of damage from a hurricane in Florida, but New York? Craziness. Opening April 22 and running through July 25, 2010 is the Fra Angelico to Leonardo: Italian Renaissance Drawings, a special exhibition at The British Museum. 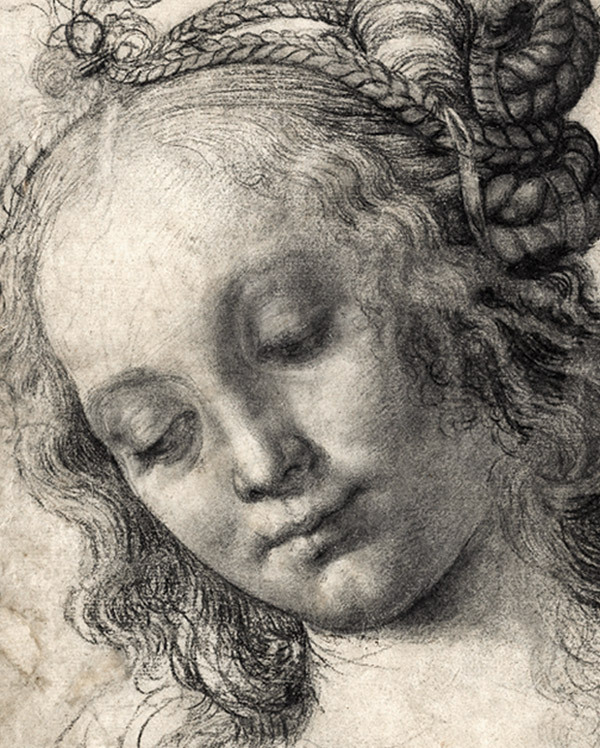 From the two foremost collections in the field, this major exhibition features 100 exquisite drawings by Italian Renaissance artists including Raphael, Leonardo, Michelangelo and Verrocchio.